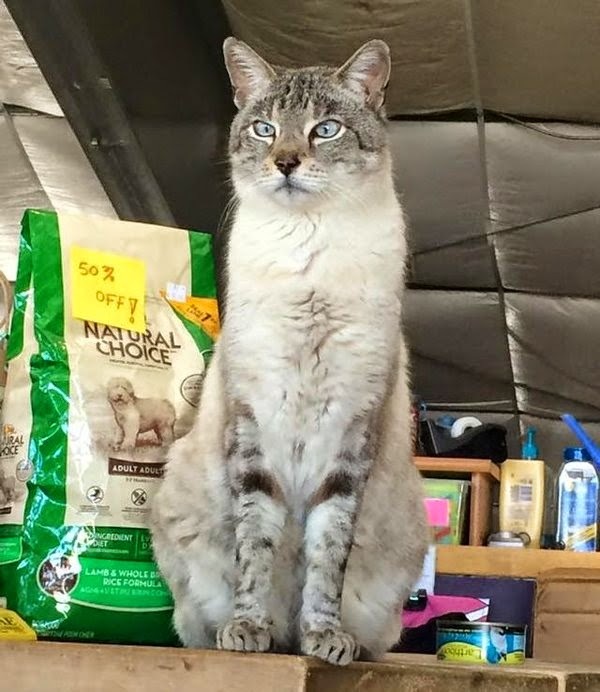 If you're ever in Fairplay, Colorado, you should go to High Paws Pet Supplies so you can meet its resident feline: Andre the Giant Cat. 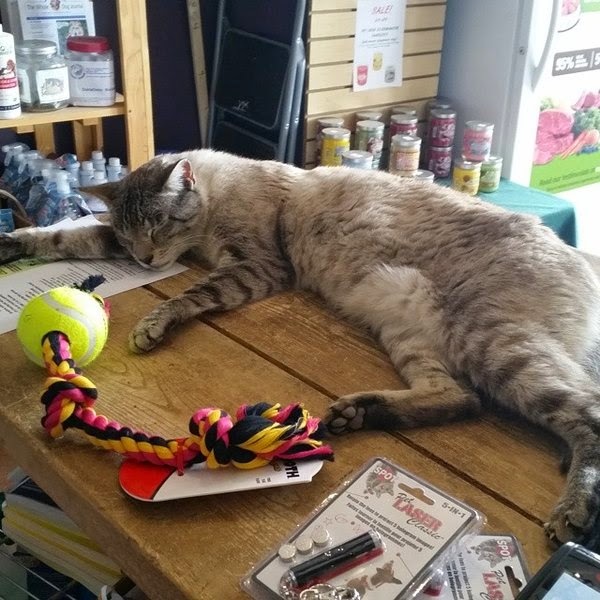 "Within a month of us having him, people are coming in to see him and to visit," says the owner of High Paws Pet Supplies. 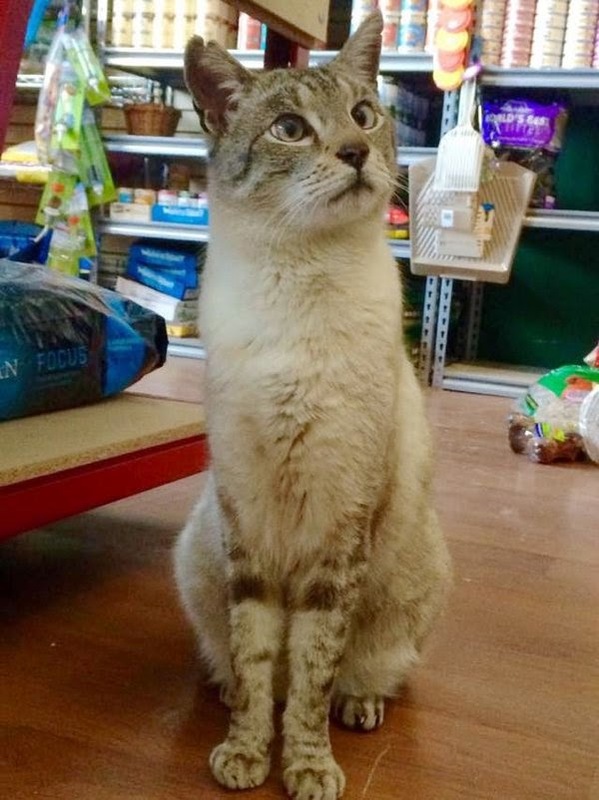 Since the store adopted this 25-pound cat, pet adoptions have skyrocketed. Oh, look at him!!! He is so cute!!! Aww! what a lovely cat heheh! a little poser heheh! What a beautiful and regal kitty! Il est vraiment magnifique et ça doit être le bonheur de vivre dans un magasin pour chat ! A lovely cat. Beautiful eyes. This cat seems rather tall in a sitting position. Is he or is it just the angle of the lens? Anywho, nice photo session with yet another feline friend in Fairplay, CO! he does have pretty eyes! That's such a great draw for the pet store. I used to do book signings at a book store that had three black cats roaming around and it was wonderful. Andre is such a handsome boy. He, he's doing a great job! Maybe I should hire my cats as well? Yes, Andre is one loooooooong cat! Awww see what a good thing for adoptions, he s a very nice cat!! Will you have a paper back book in the future? Yes, the book will be available in print. We bet Andre gets all the best treats and dinners. Looks like a very noble cat. Such poise! Thanks for linking up over at Toronto Teacher Mom! What a regal looking cat. I linked this post to my Awww Mondays post too. I will remember that next time I am in Fairplay, CO. The star of High Paws Pet Supplies. Andre is one huge cat! And I assume he is named after Andre the Giant. But he has a winsome look about him, and I bet he is so sweet. I'd like to see his mom and dad! Beautiful cats! A lot of succes with your new book! Andre is one handsome dude!!! 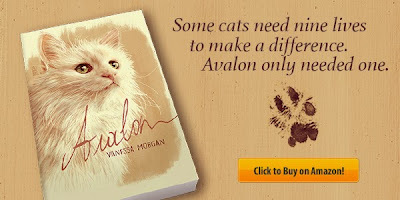 Vanessa....wishing you all the best and much success with your book ....I'm headed to amazon after hitting post !! PS. will the book be available in "book" format later ?? Yes, a print version of the book is in the making. He is such a handsome kitty!!! It must be great to live in a pet shop and test all the food and toys. Andre is a very handsome kitty! OMC , he sure is BIG !! OMC! Andre is totally giant! We'd love to meet him someday! What a beautiful cat. I would love to meet him someday! 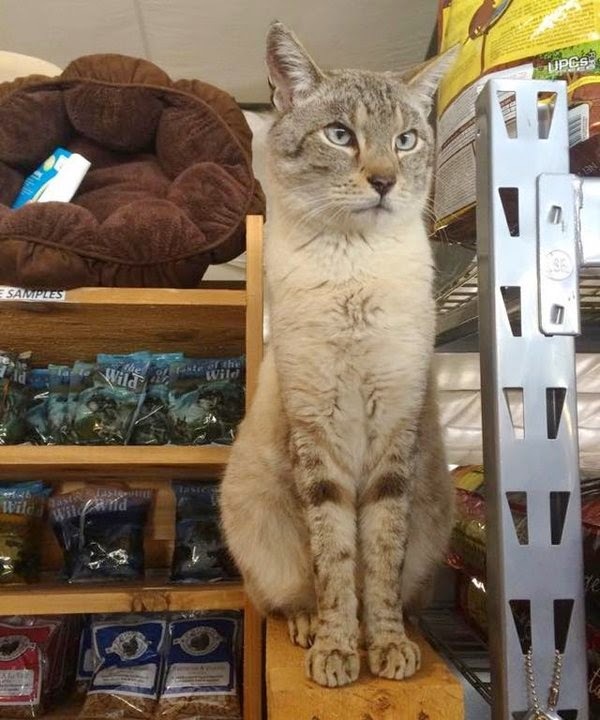 We read a newspaper article about that cat.......he's certainly brought a lot of smiles and fun to that store! AND congratulations on the new book too!!! Wow, Andre is so cute! And giant indeed! It's wonderful there are more adoptions since he came to the store! Wow, what a gorgeous cat!!! What a cool cat! Big cats are always so neat. And what a wonderful effect he has had on adoptions! Il est magnifique ce chat, élégant. André the Giant Cat is indeed huge but so happy he's being loved and attracts many customers. I would totally go in just to visit! Aww! That dog food bag looks like the dog food I buy for my dog. Nutro? Only I have to buy the "senior" version for her because apparently seven years old is "senior" in dog years! This cat is huge and very impressive! Have a nice week! He looks thin for a 25 pound cat. He must be very tall. This is so cute! I'm a cat person to boot, so "meeting" these kitties online is so fun.